Newly installed Census Bureau Director John Thompson on Wednesday said sequestration has forced his agency to delay several economic products and field tests of key reforms needed to plan the 2020 Census. He called for full funding of the Obama administration’s request for a fiscal 2014 budget hike of $150 million. In 2013, “we’ve already had to move several tests back to 2014, and 2014 is a critical year for putting us in a position to decide in 2016 what research and development we will do in the decennial census,” Thompson told the House Oversight and Government Reform Subcommittee on the Federal Workforce, U.S. Postal Service and the Census. “Put at risk,” he said, would be experiments in use of existing administrative records to fill in missing information from hard-to-reach Americans as well as “adaptive design” techniques that use previous records to determine the most efficient way to deploy resources to track down the estimated 37 percent of the population that fails to respond to the decennial mailed-out census questionnaire. Thompson was responding to questions from Rep. Stephen Lynch, D-Mass., ranking member of the subcommittee, who said the bureau is operating with funding 13 percent less than the administration requested for fiscal 2013, and that the sequester has forced it to award fewer contracts and leave vacancies unfilled. Thompson, testifying alongside specialists from the Government Accountability Office, said his “goal is to find a way to count the biggest part of the population that is easier to count, that [then] frees up resources to count the rest.” The techniques being pursued include encouraging more respondents to use the Internet; allowing the trained enumerators who canvass neighborhoods to bring their own mobile devices; and filling in gaps using existing records from such agencies as the Postal Service, the Internal Revenue Service, and the Centers for Medicare and Medicaid Services to avoid unnecessary field visits. 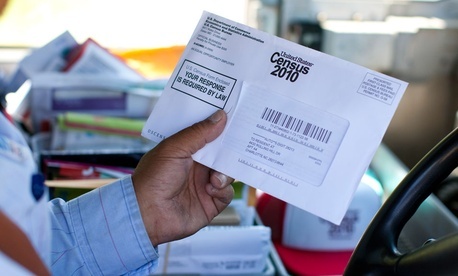 These approaches could save $2 billion, Census has said. He assured the lawmakers that his staff handles private information with caution, restricting access to those who need to see it and never sending it out to other agencies. He added he doubted that the private sector has a superior solution to the problem of a lack of addresses for increasingly mobile people with “unconventional housing,” who live in cars, basements, sheds and attics. In general, GAO has found that Census has made progress but still needs to tackle key management problems. The bureau has created a cost-estimating team, but hasn’t finalized its procedures, for example.